Paul Ciavolella is an accomplished and award-winning professional with over 15 years of experience. Paul has been a leader in Sales, Marketing, Operations, Distribution, Analytics, Training and Market Research covering the retail, HHC/LTC and hospital space for companies such as Pacira Pharmaceuticals, Dey Pharma, Meda Pharmaceuticals and Sanofi. 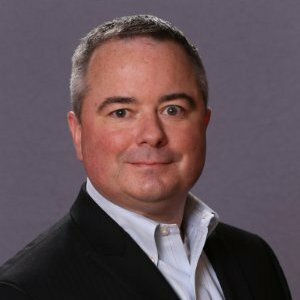 He has extensive experience with launch brands, rebuild/restructure, specialty distribution, sourcing and analyzing unique data sets and establishing customer facing support/infrastructure. Paul's diverse background and extensive experience provides a solid foundation for collaborative problem solving by providing actionable insights and timely results geared towards improving operational excellence. OP-X Solutions is focused on supporting the early commercialization phase of pharmaceutical and medical device organizations looking to build and launch their customer-facing infrastructure or to enhance existing overall resource effectiveness. All engagements are strongly rooted in significantly enriching commercial and operational success across all key stakeholder with a core focus on driving organizational collaboration, stakeholder value and revenue growth. OP-X is committed to improving speed to market by helping organizations avoid the many pitfalls associated with a commercial launch by providing guidance on the most efficient path forward. OP-X is committed to improving resource effectiveness with a holistic and data driven review across all customer facing resources. From our thorough review of your current business resources, we will provide relevant and actionable recommendations to assist with all your commercial operational needs. OP-X is committed to providing your organization cost effective bench strength on demand to alleviate the burden of day-to-day operations and get your projects back on track.